Make it a shining new year! Celebrate the birth of a new year! 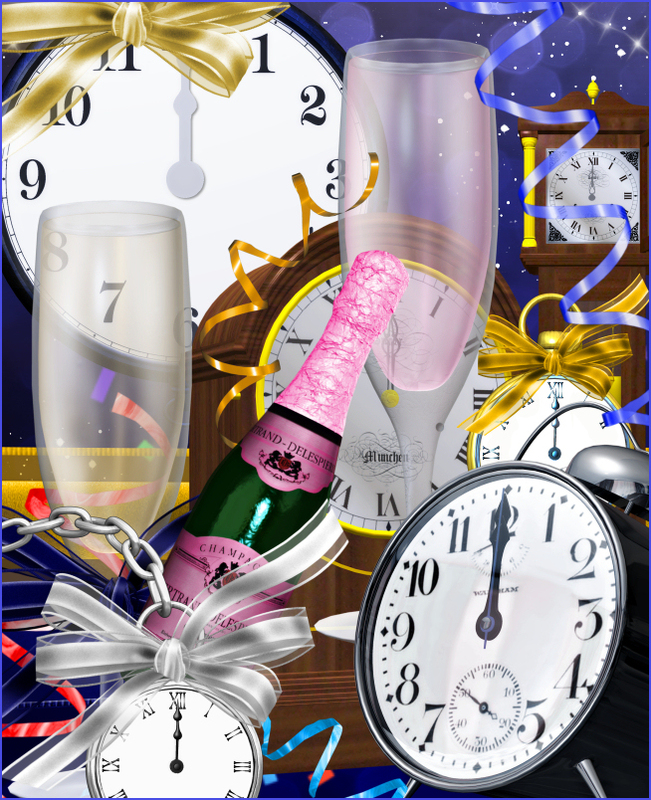 A bright new year is on the way and you can celebrate early with the help of this huge graphics package. It has champagne bottles, champagne glasses, streamers, bows, ribbons, and lots of clocks. It’s certainly a package that you don’t want to miss. 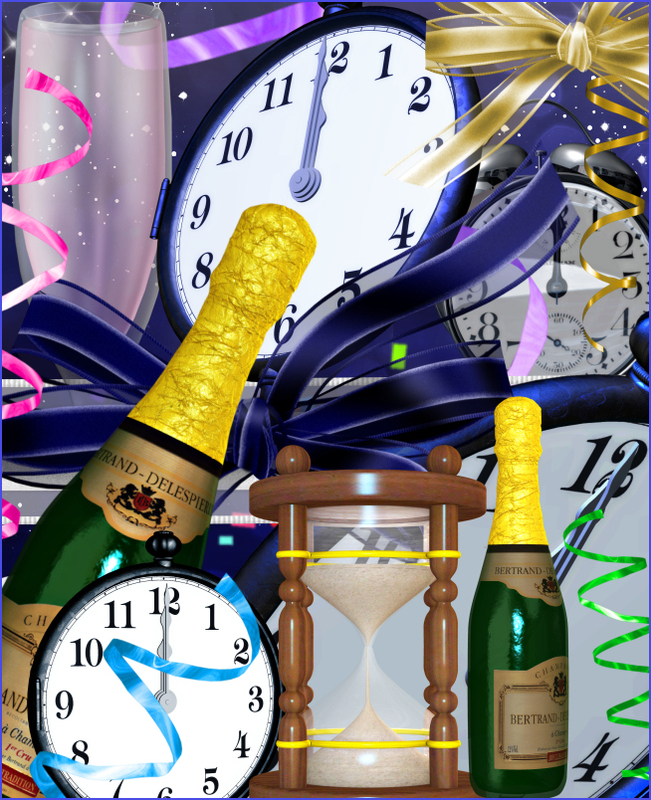 These graphics will also be great for other holidays and celebrations as well, including birthdays. This is an older package that accidentally got removed from my holiday index page and then lost. I chanced upon it when I was working on a New Year’s background package. So, I’ve repackaged it, adding a seamless background tile and recoloring a few of the clocks. Each year, I try to update my New Year’s packages with the current year when possible. The size of these images varies, but most of them are about 800 X 2000. They are 300 DPI, making them great for print projects. This package is one zip file, which is about 60 MB.